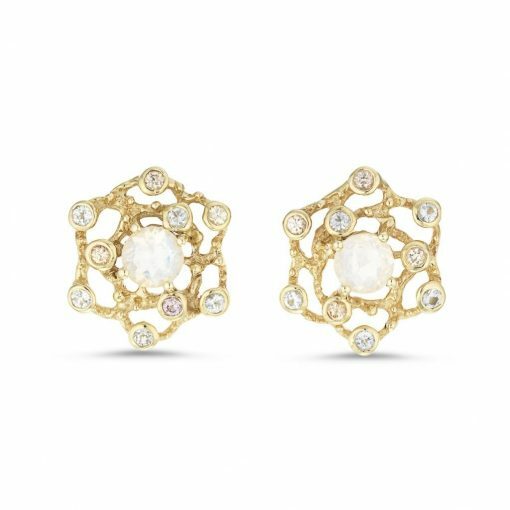 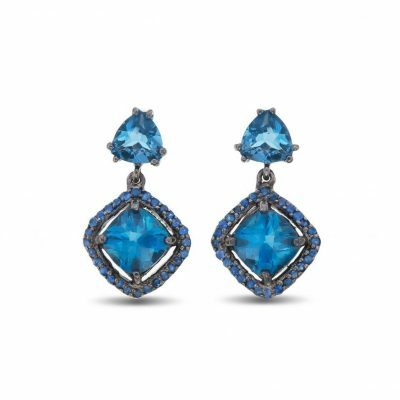 These stud earrings are made by hand from 9 carat yellow gold and set with moonstone, blue topaz and sapphire gemstones. The central moonstone gemstones measure 5mm by 5mm and the smaller gemstones measure 2mm. 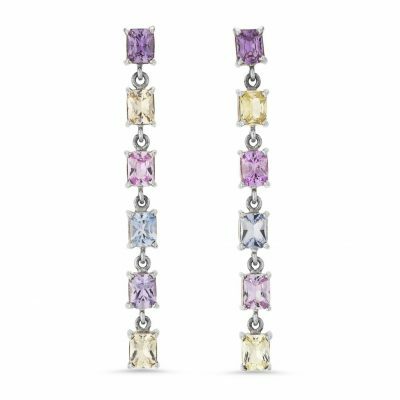 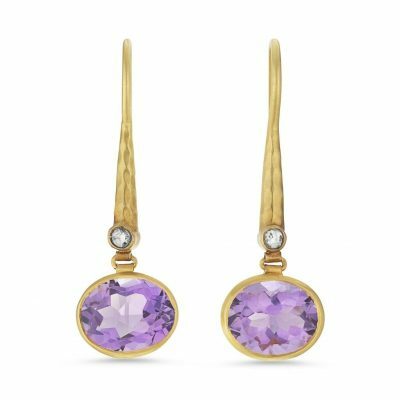 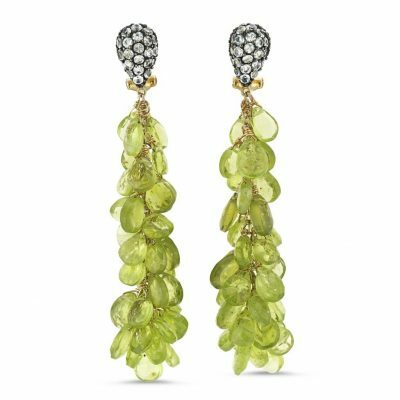 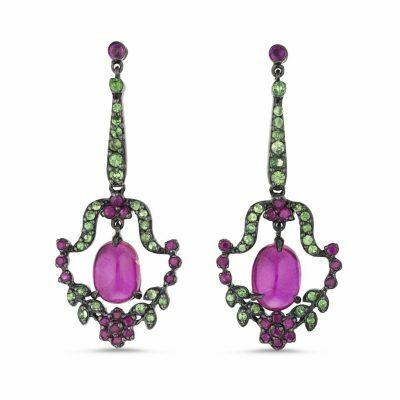 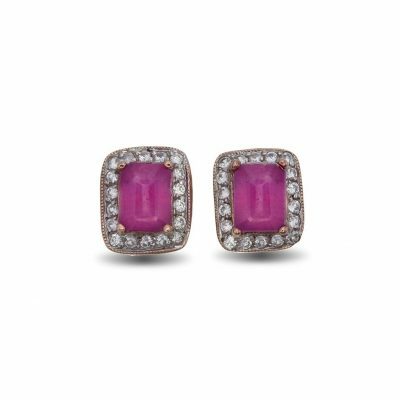 Each earring measures approximately 16mm long by 16mm at the widest point, with a thickness of 1mm.